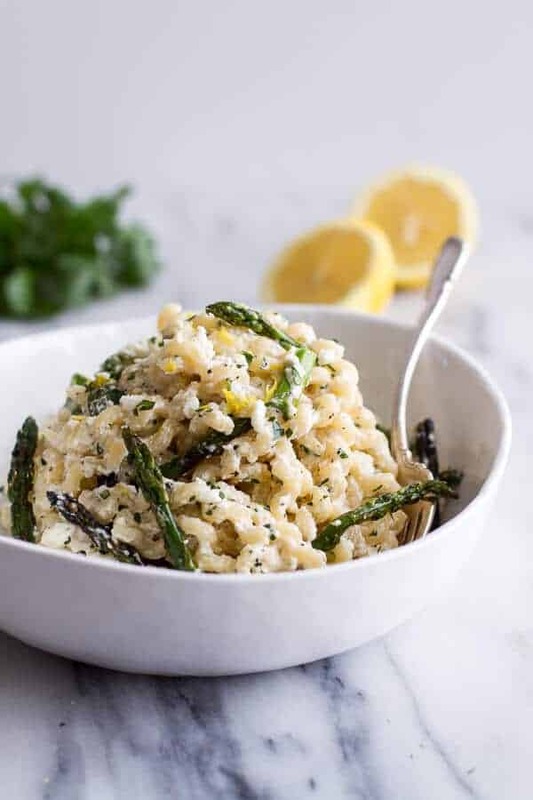 Simple Lemony Feta and Mascarpone Pasta with Grilled Asparagus. I feel like it’s spring!! Yesterday it was still light out at seven and the sun shined all day. It was awesome. Of course, tomorrow it will probably snow, but I can feel it, spring is on its way. Hooray! Asparagus has been on sale here for the last week, so despite spring still being a week away I am jumping ahead a little. What’s new, right? I mean, I just can’t help it. I get so excited over new seasons. New seasons mean new foods! That’s reason for excitement if you ask me. Well, that and I am trying to get in all the veggies I can in the next few days. The meat-eater is back on his way out and for good this time. Creighton has been planning a move out to CO (he has worked in Cleveland the past 3 years). Unfortunately, Creighton injured himself badly this weekend. He broke his neck in three places on his C-7. Thankfully, he is going to be fine, but he had us all pretty scared Saturday night. He is very lucky that he is not going to need surgery, which was not what they told us when he was life flighted from Pocahontas Memorial Hospital in WV (yes I am serious) to a Level One Trauma Center in Roanoke. Hopefully he will be coming home in a day or two. So of course I can’t I disappoint my meat-eater brother, all of his favorites will be coming his way. But back to Spring. 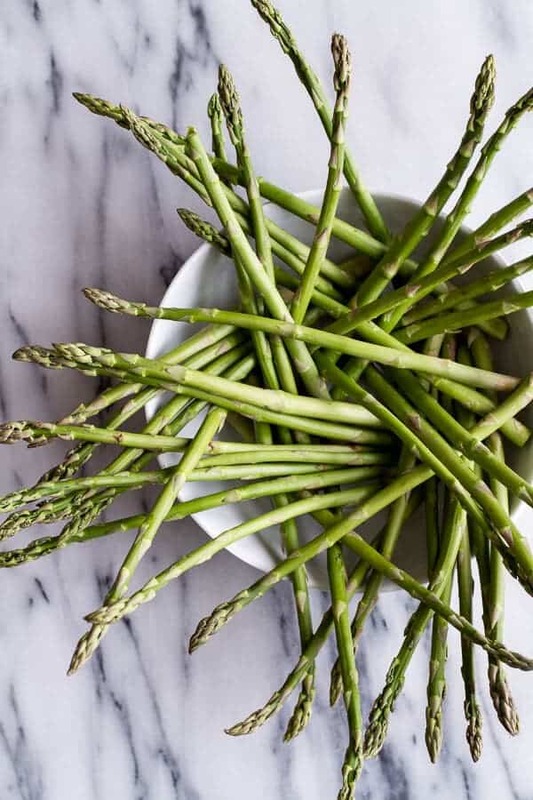 Spring is all about a return of color in our foods. Spring food seems simpler to me. A little lighter and a little faster, because hey, we all want to be outside if the weather is a little warmer. Yahoo! Over the weekend there was actually so much sun that the snow melted off the grill. Result, grilled asparagus! Finally. I feel like it has snowed the entire winter this year. I could not be more ready for non stop sunshine. So, this pasta is super simple, obviously, as the title states. 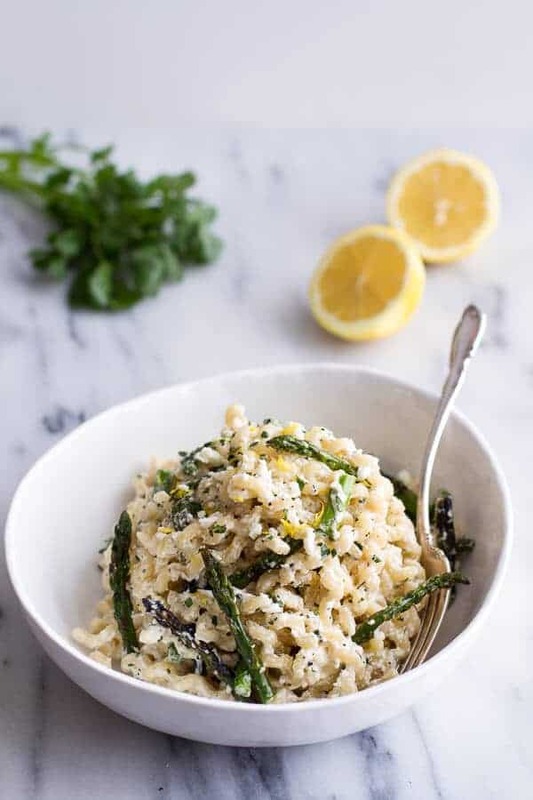 The fresh asparagus and lemon scream spring and the creamy feta and mascarpone cream sauce are just the thing to compliment those flavors. A little brightness and a little creamy comfort. Perfect dinner for a Monday. Especially the Monday after the clocks are pushed forward one hour and we are all wanting that hour back (without taking our new-found extra hour of sunlight of course). Extra bonus – lemons are packed with vitamin C and cancer fighting limonoids to help keep our immune system strong, as well as many other great benefits. So come on guys, this dish will save you… in more ways than one! This pasta is super simple, obviously, as the title states. 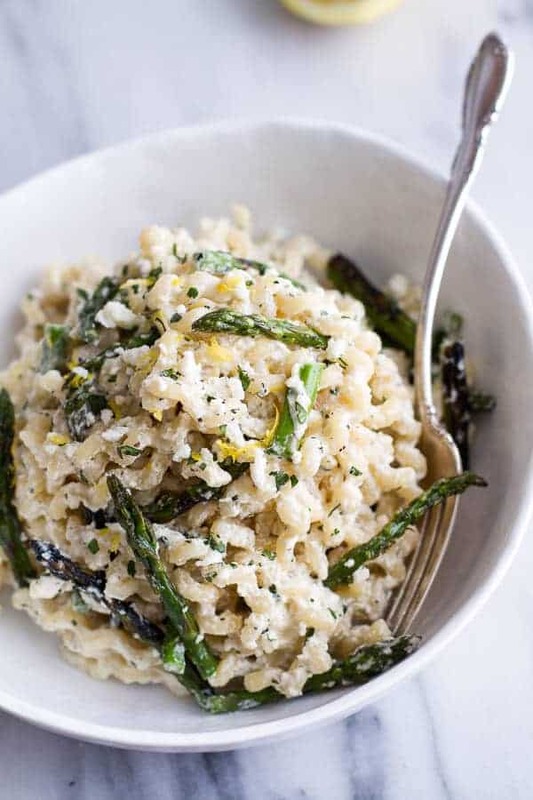 Place the asparagus in a baking dish, coat with olive oil and sprinkle salt and pepper over them. 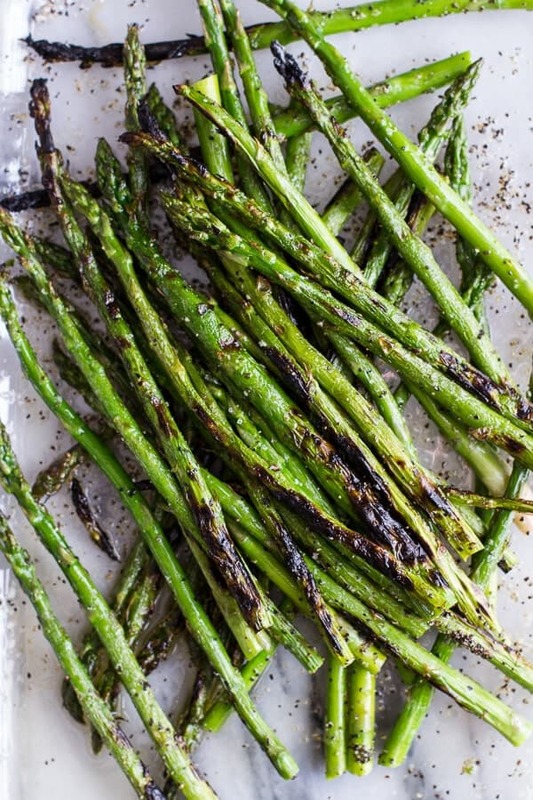 Grill the asparagus spears for 5-10 minutes, until nicely charred and just fork tender, turning them every few minutes so that they brown relatively evenly. Remove and chop into thirds. Alternately, you may roast the asparagus by preheating the oven to 400 degrees. 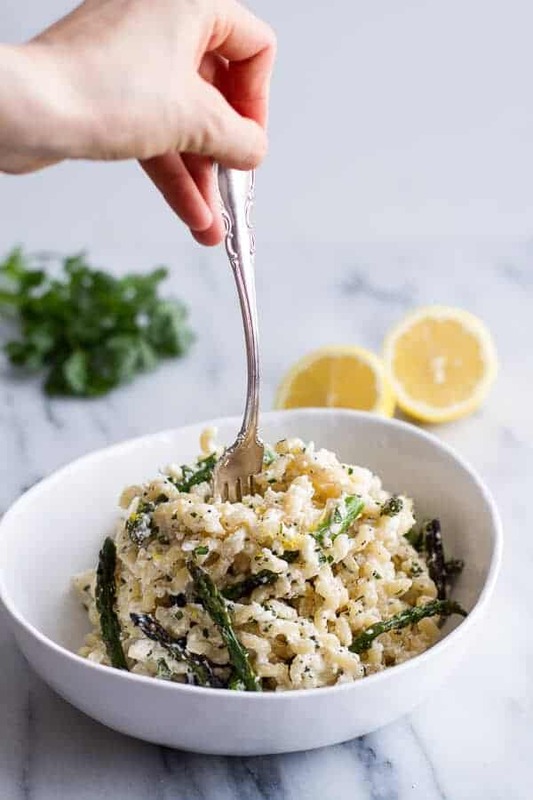 Place the asparagus in a roasting pan or on a baking baking sheet and toss with the 1 tablespoon olive oil, salt and pepper. Roast in the preheated oven for 25-30 minutes or until tender and crisp. Remove and chop into thirds. 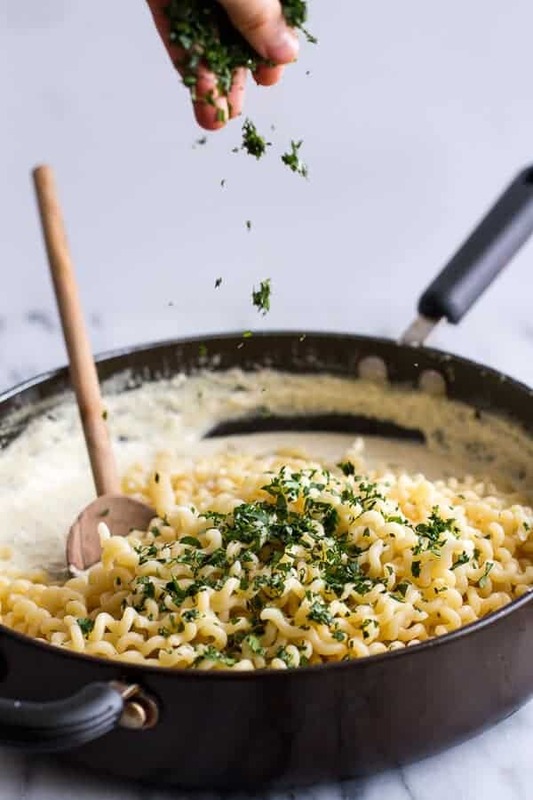 Heat a large skillet with high sides over medium-high heat, add the butter, cream, milk, and mascarpone and feta cheeses. Bring to a boil and simmer until smooth and creamy, about 5 minutes. Add the lemon juice, lemon zest, crushed red pepper and a good pinch of pepper, whisking until the cheese has fully melted. Simmer the sauce 3-5 minutes until the sauce is smooth and creamy. Add the pasta and asparagus to the sauce and toss well. Cook another 1-2 minutes to warm through. Add the parsley and toss. Serve immediately with fresh feta or parmesan. *If your skillet is not big enough to toss the pasta in transfer everything to a large pot or serving bowl and toss well. It’s pasta and cheese. What could be better on a Monday? OK, end it with some chocolate and you are golden. 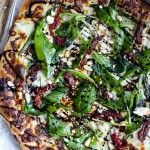 Spring Time Mushroom + Asparagus White Burrata Cheese Pizza with Balsamic Drizzle. Charred Asparagus Cream Pasta with Blackened Lemon Chicken. 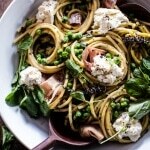 Simple Buttery Spring Pea and Burrata Pasta with Prosciutto. 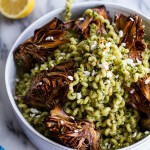 Pan Fried Lemony Artichokes with Asparagus Pistachio Pesto Pasta. Oh man! I am SO glad your brother is ok! That’s scary. This pasta looks incredibly edible! I love how simple it is, but so fresh..perfect for spring! I agree…it feels like spring. Time to bust out the ol’ grill-er-oo! I’m glad Creighton is going to be okay. Your dad is right, get him a chess board pronto. And lemon and mascarpone is a match made in heaven. How scary it must have been for all of you when you heard of your brother’s accident. He is very fortunate he is going to be ok. That just sounds horrible. My husband would like this recipe. That’s so scary! I’m glad your brother is ok….but it must have been an awful night for y’all waiting to hear back. Hugs. I’m also so excited for asparagus season. Loving the char you got on those stalks. Oh my gosh! So happy to hear that your brother is ok, that is so scary. Your weekend must have been incredibly stressful!! On a more positive note, this pasta looks delicious! Oh my! This sounds like such a nice meal – love it! 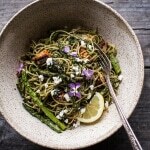 This looks like spring noodle heaven! That’s a lot of delicious ingredients in this recipe, Tieghan. Nice and fresh! So glad you brother will be ok! Scary stuff! This pasta is pure perfection! Great flavors! I have asparagus and mascarpone in my refrigerator! I am so making this tonight. I love the extra light. I didn’t need my flashlight to grill yesterday! 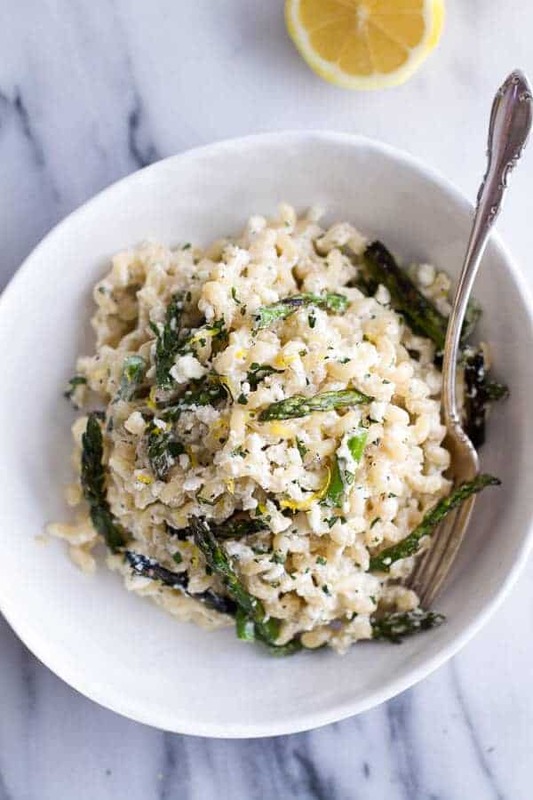 you put asparagus in pasta and I STILL want to eat it – that’s talent right there sista! Thanks Sarah! And yay for asparagus! Wow! Tieghan, this is really great combination, you should start thinking about a cookbook. Thank goodness your brother is going to be OK. Love this simple meal. I’m glad your brother is okay. That is so scary…It makes me want to stick to chess. This pasta looks so ridiculously delicious!!! I have some mascarpone in the refrigerator and it was destined for frosting but maybe it should be pasta instead! This looks soooo good! 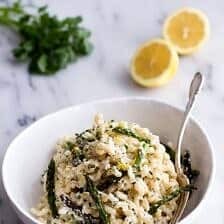 I love marscapone cheese and lemon together – especially in a cream sauce! Yum! On a happier note, that pasta looks sublime! 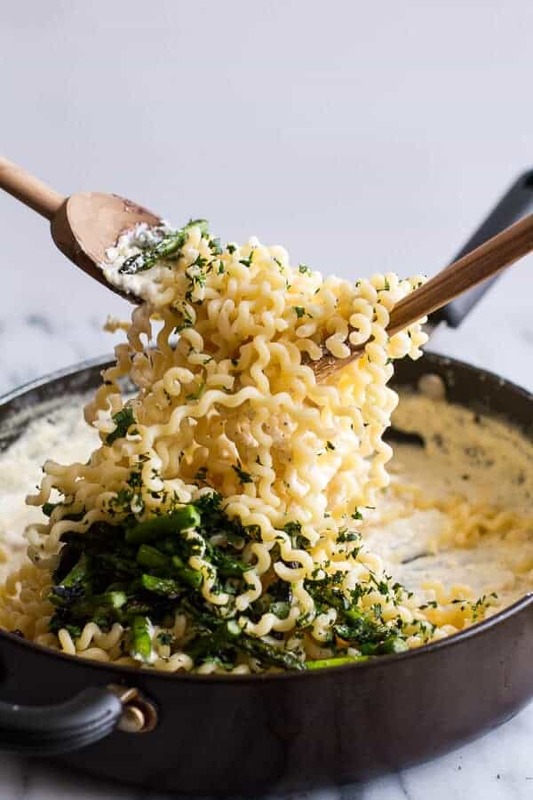 I love the texture of the noodles! Oh no!! Hope everything turned out ok. I am sorry to say this was not the first airlift of our family…that was number 3! OMG! I am so glad he is okay!! But the good news, this pasta dish looks amazing! This combination of product is kind of new for me. Mixture of feta and mascarpone cheeses impressed me the most. Then I saw lemon and asparagus and was really surprised. Is it piquant? The only thing I can say for sure is that it is high in calories. Hey Maria! It does have a nice, but unique flavor. Its really great!! This is exactly what I want for dinner tonight – love the fresh spring flavors! Tieghan – so sorry about your brother, but so happy to hear he will be OK. I want to dive into that bowl! This looks sooo good! This look amazing Tieghan! LOVE this is light and heavy at the same time! YUM! This looks amazing. How do you always know exactly what I’m craving!?! Glad to hear your brother is okay. Close scares are so stressful. Thanks Bri and yes, they are! I’m so glad your brother is OK. That sounds scary! The pasta looks so good. Definitely makes me think of spring and sunshine! I’m glad that your brother is okay. I hope that he feels better soon! Thanks so much, Hillary! The pasta is from target. It’s Giada De Laurentiis brand. Wow! 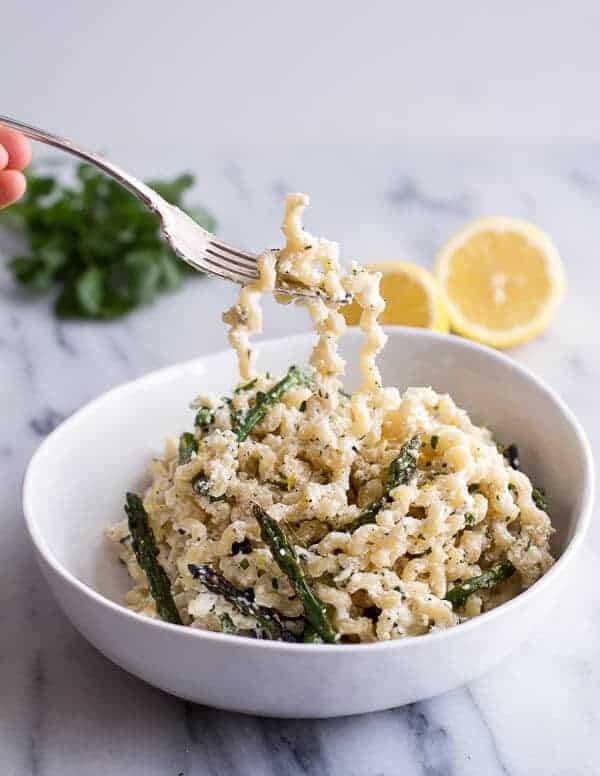 Seriously so scary Tieghan, so glad your brother is ok.
Loving this pasta dish, although I am a sucker for anything with grilled asparagus in it, then you add in the mascarpone, feta, and lemon and I’m done for. Pinned! Thank you so much, Krista! I hope you’re happy. This is now the only thing that I want to eat. Nothing else will do, and I have no asparagus. Haha! Thanks for letting me know, cate! Headed to fix that now! Oh how delicious 🙂 so much in this recipe that I just love!! I wonder how this could work with spaghetti squash. I can’t eat pasta. I’m going to try it soon. This recipe is awesome! I am dying to find the exact noodle you used. He shape is perfection. Would you share?